This Parsha deals with the rebellion of Korach and 250 men of Israel against the leadership of Moshe and Aaron. According to Rashi and Ramban, their’s was a rebellion motivated by jealousy. It wasn’t service to God that Korach coveted – rather, it was the trappings of leadership and fame. They are ultimately punished by God and swallowed up by the ground. God then instructs Moshe to set up a test to demonstrate that only Aaron and his descendants are and will be the true kohanim (priests) forever. The leaders of all of the tribes (along with Aaron) provide their staffs to be placed inside the Kodesh Kedoshim. (Holy of Holies) All of the staffs remain the same except for Aharon’s, which miraculously blossoms and produces almonds. Bamidar 17:23 And on the following day Moshe came to the Tent of Testimony, and behold, Aaron’s staff for the house of Levi had blossomed. It gave forth blossoms, sprouted buds, and produced ripe almonds. Rashi points out that the almond blossoms much faster than other fruits. Likewise, those that opposed the designation of God’s priests – the Kohanim – were punished quickly. Rather, He stimulated in it the full natural process of budding, blossoming, and the emergence and the ripening of the fruit. Aaron’s staff defied natures laws and restrictions, yet it conformed to the phases of growth that the almond naturally undergoes. It transcended nature, but did so on nature’s own terms. Melt milk and chocolate in microwave. 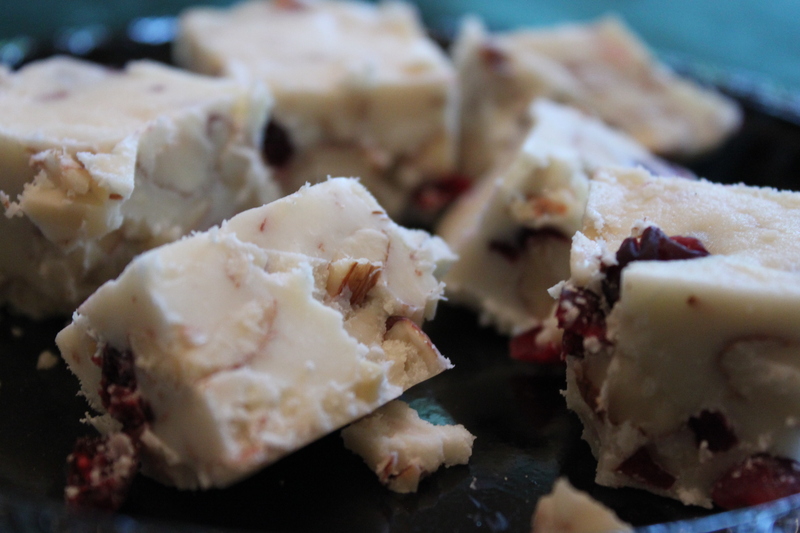 Add craisins and almonds and pat into an 8″ square pan that’s lined with parchment paper. Chill for two hours. May be frozen. Melt white chocolate in microwave in 30-second ‘blasts’. Stir in almonds and cranberries. Pour onto a large piece of wax paper. 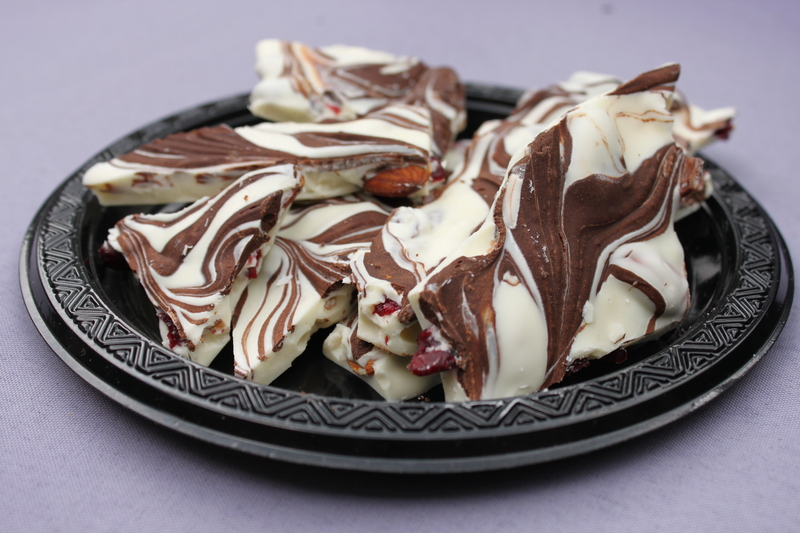 Pour melted chocolate on top, and with a knife create swirls. Have a great Shabbos and B’Tayavon! Culinary adventures through the Parsha. Check out my sushi video with friends Chanoch and Allan. Torah Portions · An edible exploration of the Parsha.